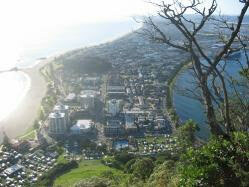 There is a great variety of walks around the base and up to the summit of Mount Maunganui(Mauao) all with spectacular views. The path through the bush to the summit. The view from the summit. 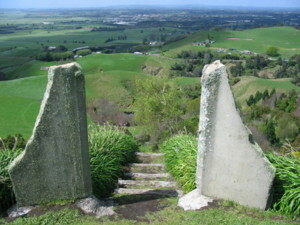 To see more views of the Bay of Plenty click here. The 8 hectare (20 acres) Garden has been developed over the last 32 years by owners Gael & Cedric Blaymires from bland, elevated (about 600 feet above sea level), difficult terrain nestled in the Papamoa Hills overlooking Te Puke into the majestic, multi-dimensional landscape garden with vibrant, seasonally-changing palettes of colour and texture that awaits your visit today. 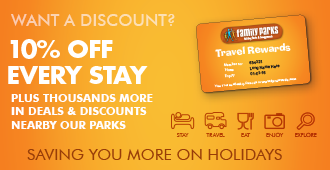 Looking Glass Gardens are only a 20 minute drive from Cosy Corner. 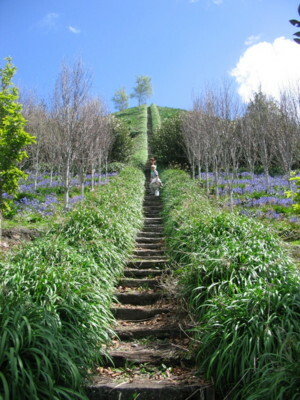 Looking Glass Garden is a "Garden of Significance" recognised by the New Zealand Gardens Trust in 2008. Like Alice, in Wonderland, you never quite know what to expect. It can be topsy-turvy... a play on words... the garden of live flowers won't be live will they... thyme frame... thyme out... time in lieu... What are they? Was that the big bad wolf you saw out of the corner of your eye? Where is Little Miss Muffet? What are Tweedle Dum & Tweedle Dee up to? The Red Queen is grumpy, the White Queen haughty, and Queen Alice has a split personality! These characters have been lovingly brought to life by Papamoa sculptor Peter Cramond and there are many more besides. So if you're young, or not so young, Looking Glass Garden has something for everyone. 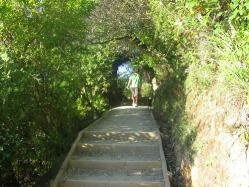 But be aware, it's a near 300 foot climb from 'Peter Pan Pond' to the top of 'Stairway to Heaven'. But the view! THE VIEW! 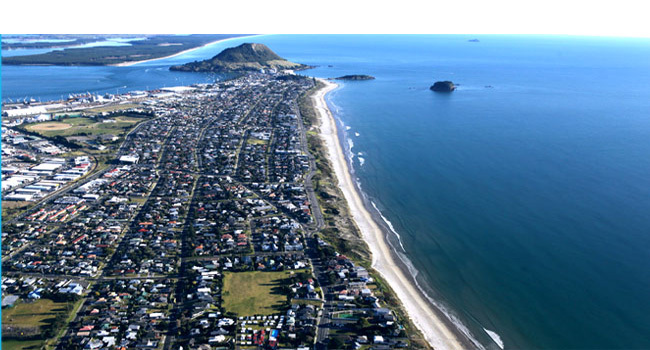 Look out to Papamoa Beach and Maketu, to Cape Runaway and even Mount Hikurangi in the far distance, welcoming the first sun rays each day!